 The Leavenworth Earth Day Community Fair has been a fun, educational, engaging event for our community for the past eight years. A large part of our success comes from the silent auction we hold. It gives donors an opportunity to advertise with a local target audience, and attendees get to enjoy bidding on the many unique items that are available! From the proceeds, we are able to contribute to the programs of our local charities such as UV MEND, WRI, and NCWEDD. For example, after the 2014 Fair, we contributed over $4000 to Wenatchee River Institute Programs, MEND programs, and the local Solar Energy Panel Project. Our expenses (mostly advertising), are covered by our generous supporters. Whether you are a business, an organization, or an individual, we hope you will consider donating one or more items to the 2017 Silent Auction. We are especially looking for services and items that fit in with our theme of positive living practices to secure a healthy climate future. In the past, individuals have donated items such as plants from their gardens, guided bird or flower hikes, dinners and other gifts of their talents. Businesses offer samples of their wares, such as wine or clothing, coupons for a percentage off, or gift certificates. Packages or baskets of multiple items are always popular with buyers. The button below will take you to the online Silent Auction Donation form. We appreciate your generosity!